“What ideas do people have for the BART plaza?” asked Scott Falcone, posing the question to a group of community members. 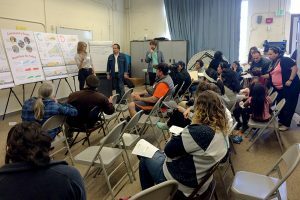 Falcone, an independent development consultant to nonprofit affordable housing developer Mission Housing Development Corporation (MHDC), is referring to the community gathering space outside of the Balboa Park BART station, which will be redesigned in parallel with the Balboa Upper Yards affordable housing development. 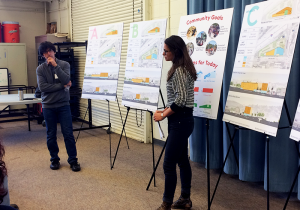 Community members responded and suggested “more trees and green space”, “space for cultural performances”, and “farmer’s markets!” All of these ideas contribute to the design of a healthier and more equitable neighborhood in the Outer Mission of San Francisco. 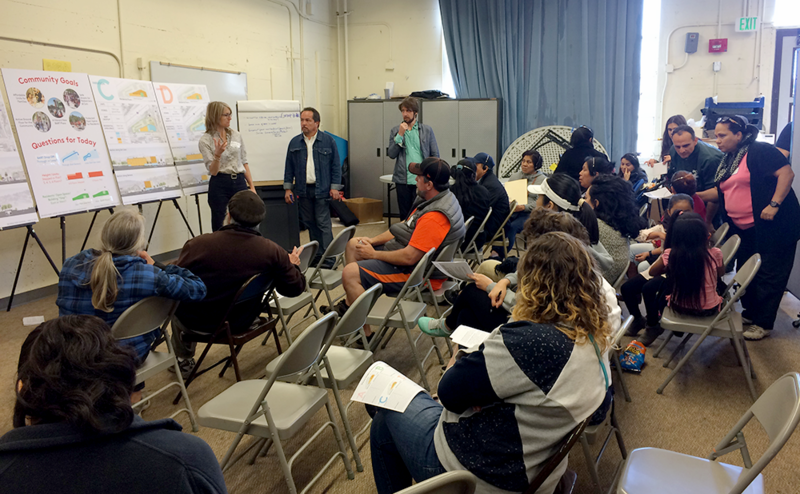 On Saturday, May 13, 2017, MHDC, The Related Companies, and Mithun/Solomon Architects hosted their second community engagement meeting in relation to the development of the Balboa Upper Yards affordable housing project. I had the opportunity to join the meeting at Balboa High School, playing a dual role as by observing as a Green Health Partnership researcher and also participating and offering my opinions as a fellow Outer Mission neighborhood resident! Over 50 community members attended, spanning the racial, gender, and age diversity of the neighborhood. Balboa Upper Yards will be a 100% affordable housing development slated to provide 80-120 units of housing to individuals and families with income levels of 60% AMI (area median income) or below in the city of San Francisco. In addition to the desperately needed units of housing, the development will also include community services and programming. For this second community meeting, the development team had several key questions on project design features to ask the community. In changing the existing BART ‘kiss and ride’ (passenger drop-off) lane, do community members prefer a loop or thruway? What is the right mix of building height, units, and street side façade? And finally, where should the resident open space be located? After a large group presentation to frame the agenda and questions, community members gathered into three smaller breakout groups to allow more opportunity for feedback and questions. As the breakout groups discussed the questions, I couldn’t help but think about all of the ideas and suggestions through a Culture of Health and health equity frame. Each question poised had clearly identifiable relevance for human health. Defining the health value within each decision helped add clarity to the decision making process. 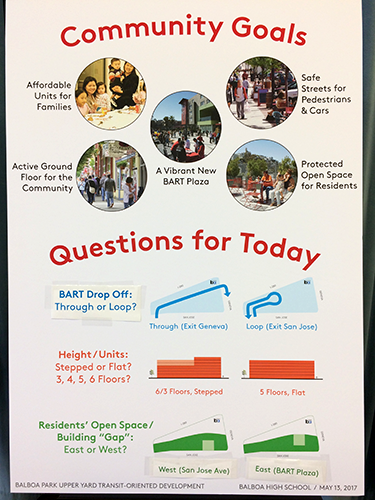 For instance, many of the community members preferred the BART drop-off as a loop, maximizing and protecting the plaza. The plaza would then have more dedicated space for the health supporting features identified by the community as ideas mentioned above, like farmer’s markets and green space. With the loop, pedestrians would also no longer need to cross a lane of traffic, reducing the risk of pedestrian injury, and reducing barriers to physical activity and access to transit by promoting more walkability and safety. Health translation: Healthy Community Design and Access to Healthy Foods as key measurement areas for the built, social, and economic environment. For building design and housing density, some community members voiced their support for the maximum number of units possible in response to the housing crisis in San Francisco and the Bay Area. One community member even urged the development team to pursue the state of California’s affordable housing density bonus to add even more floors and units. Health translation: Housing Affordability as one of the key measurement areas for a health-promoting environment. Community members overwhelmingly supported the location of the resident open space facing east, towards San Jose Avenue. This location places the open space furthest from the adjacent I-280 freeway and positions the housing building as a physical shield from noise and air pollution. Health translation: Air Quality maintenance and mitigation to reduce lung cancer and asthma rates. Our team at the Green Health Partnership strives to make these connections between the built environment and health more clear, and create the incentives to integrate intentional consideration of health into design more fully. It was exciting for me to hear community members and built environment practitioners talk about the aspects of this project that would increase their neighborhood quality of life and ultimately their health. 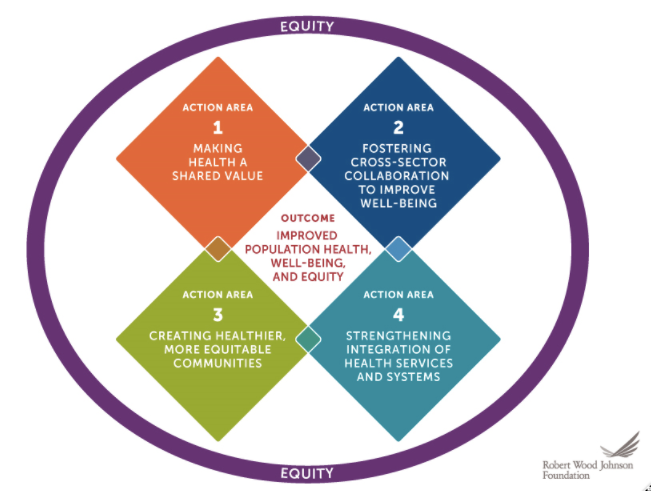 From a public health perspective, it is encouraging to see new measurement indicators (such as the Robert Wood Johnson Foundation’s Culture of Health action framework) become part of the conversation between developers and the community, with their health value explicitly defined at the community meeting. The Balboa Upper Yards development team is now considering all of these community recommendations into the project, while incorporating a health lens into their framework of analysis. They will host another community meeting in a few months to share how they’ve integrated the recommendations and continue gathering feedback. I plan to be there to stay updated on the process and continue identifying opportunities for health promotion. 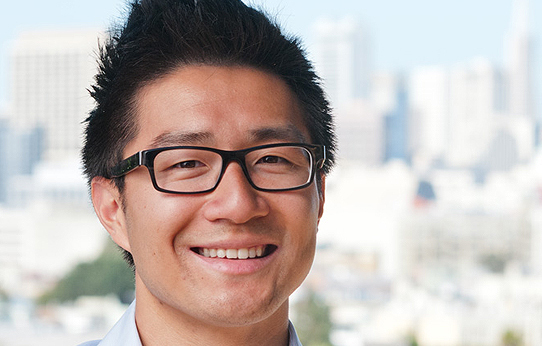 Daniel Lau, MPH is a nonprofit professional working to support communities become more healthy, successful and resilient. Before coming to the Network, Daniel was the Programs Director at Mission Asset Fund. At MAF, he managed the expansion and implementation of Lending Circles, a group savings and credit-building program. Building partnerships all across the country, Daniel contributed to a movement of safe and responsible access to financial capital for hardworking families, opening doors for economic advancement and self-sufficiency. Before MAF, he conducted research on the National School Lunch Program and advocated for federal anti-hunger and anti-poverty initiatives in Washington, DC.